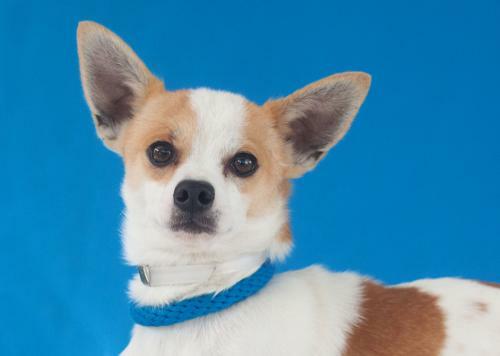 Harry is a spectacular Chihuahua who is 1 1/2 years old and 9 lbs. He was found as a stray. Harry walks like a show dog on leash and has a medium energy level. He enjoys the company of other dogs of all sizes and should do fantastically with children. Harry is an ideal indoor pet for anyone in any living situation. Please lets find him a loving home! 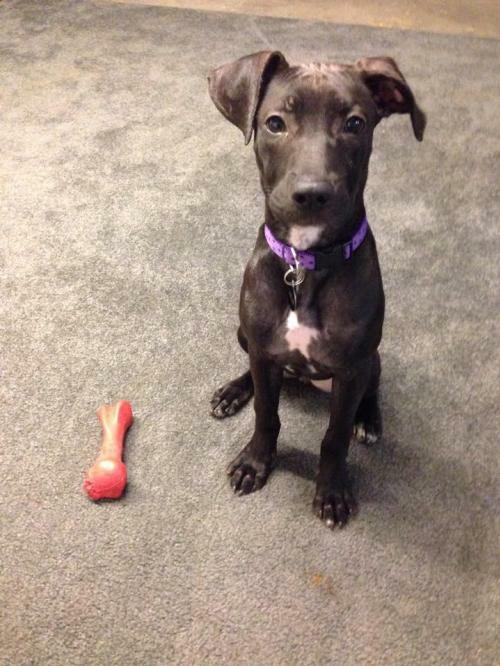 Princess is a Labrador Retriever/Pit Bull mix who is a puppy. Her foster mom say she is a very sweet girl who is friendly with other dogs and people. She loves to run and play, and has enjoyed hikes and romps in backyards, though currently thrives in an apartment setting as she gets four walks daily. She gets excited about new things and is very curious. 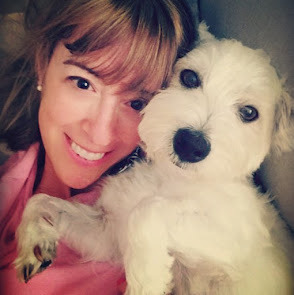 Like most puppies, she is a Velcro dog, and likes to stick close to her human and canine housemates during both naps and playtime. Princess loves a good chew toy, and busies herself with them throughout the day. 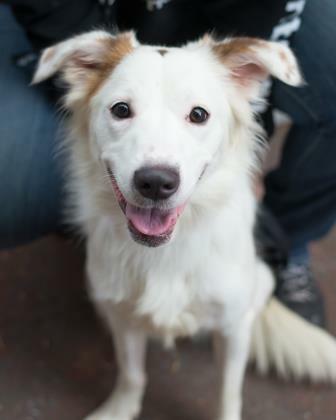 She also loves to wrestle and play with her foster brothers.She is very snuggly, though excited, with children, and does well in large crowds of people and with dogs of all kinds. Princess is very much still a puppy, and is learning her house manners. Potential adopters would need to follow up with her housebreaking and crate training. She does well on the leash, even with other dogs, and loves children as well. Princess already knows some commands, such as sit, and is responsive to correction though would benefit from a basic obedience training class. The perfect forever home for Princess is one that has a doggie companion for her or where someone works from home. She needs someone dedicated to continuing her training. A human sibling of any age would be welcome. Please lets find her a great home! 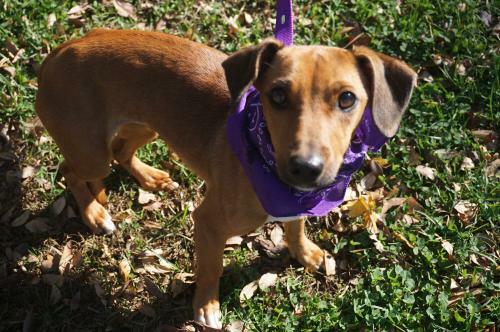 Jolene is a young Dachshund mix. She recently joined the shelter from an overcrowded southern facility. Jolene isn’t sure what it means to be loved and spoiled yet, so she is a little on the shy side. She's been living in a foster home for over a week now and she's come a long way since she first arrived. Jolene will need some time to learn to trust, but once she does she will be an amazing addition. She could live with another calm, friendly dog with a slow introduction like she's doing in her foster home. Jolene seems to prefer the calmer doggy friends. She could also live with a dog-friendly cat, but they also need to be introduced slowly. She’s making progress in terms of housetraining but her new family should also be willing to help her learn. Please lets find her a loving home! 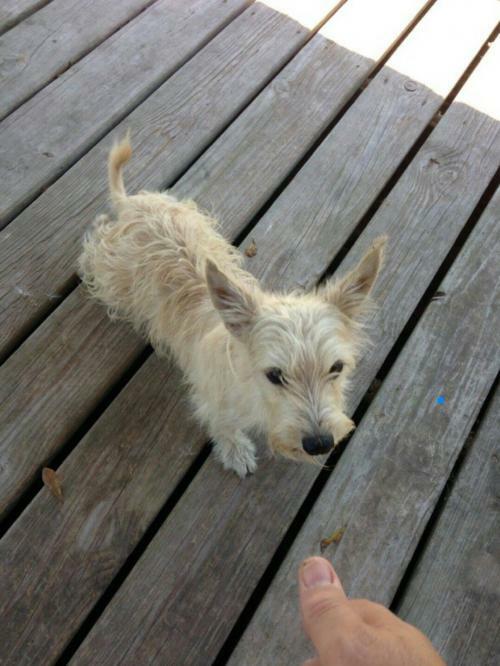 Junior is a Wheaten Terrier mix. He was found wandering around with another larger dog. Please lets find him a great home!